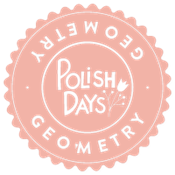 The theme for Polly Polish's 4th Polish Day is 'Geometry' based on the fact that it's back to school time. According to Wikipedia Geometry is a branch of mathematics concerned with questions of shape, size, relative position of figures, and the properties of space, righto, glad we got that sorted. 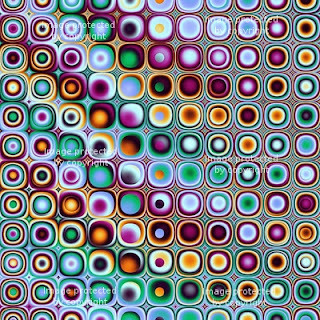 Googled Geometry images and you know how it is on Google, you go from one thing to another and I ended up with Geometric Images. I'm not very artistic so decided the best way forward was to make my own water decals. So here's my interpretation of 'Geometry' using my home made water decals. Well, where do you get special paper? That's so cool!!! Ebay it's about £1 a sheet, just put in water decal paper, i've even done them with a photo of my puss! This is phenomenal! I've thought about trying to get water decal paper, but been too afraid, and now I know when I can I will buy some! What a wonderful mani! This looks great! Need to find water decal paper and try this myself. Did you just print it on a regular printer? lo inprimiste desde tu pc .. con una impresora normal?? y donde compro ese papel? He comprado el papel de Ebay y se imprime en la impresora de inyección de tinta en casa. oh man this is the challenge I missed out on and OMG how clever , I may have to give this water decal a go and yours is stunning Wendy!